Queensrÿche’s blend of heavy metal and progressive rock was perfected on their third album, Operation: Mindcrime, a concept album about a drug addict named Nikki tormented by the evil Dr. X. Dr. X brainwashes Nikki into becoming an assassin, and murder ensues over thrashing guitars and pounding drums. Queensrÿche would return to the story in 2006 with Operation: Mindcrime II, featuring Ronnie James Dio as Dr. X. Spirit came out of the Los Angeles art rock scene in the late sixties. Their fourth album, The Twelve Dreams of Dr. Sardonicus, is their best known album. The album revolves around a loosely constructed concept about a mad scientist’s wild dreams, and the songs explore a variety of styles – the folky “Nature’s Way,” the country-esque “Animal Zoo,” the horn-filled “Mr. Skin.” Recording sessions for Twelve Dreams were fraught with tension, and the original lineup of the band broke up after the album was released. After three albums that only achieved moderate success, Rush ignored their record company’s request to release more commercial music. Instead, they put everything into 2112, and it became their first commercially successful album. It’s not really a concept album, since the second side contains unrelated songs. Yet, it’s the first side’s seven-part title song (a story of a boy who discovers a guitar in a dystopian world that has outlawed music) where the “concept” kicks in. We know. We know. Sgt. Pepper’s Lonely Hearts Club Band is not really a concept album; but it wanted to be. Paul McCartney came up with the original scheme – The Beatles would become a “fake” band that would free them from any musical constraints. On the one hand, the “concept” only lasted for the title song, the segue into “With A Little Help From My Friends,” and the reprise of “Sgt. Pepper’s Lonely Hearts Club Band.” There’s no story threading through the songs. On the other hand, every song on the album is different musically and lyrically, and each could have almost come from a different band – exactly what McCartney was striving for. In any case, many fans consider it The Beatles’ finest work. Before The Lamb Lies Down On Broadway, progressive rock stalwarts Genesis had created elaborate story lines in songs like “Supper’s Ready” and “The Knife.” But, The Lamb was Genesis’ first complete album with one unifying storyline. Lead singer Peter Gabriel created the story of Rael, a Puerto Rican teenager who ventures on a magical and frightening path of self-discovery. The album was extremely difficult to write and record, and the arduous process was a deciding factor in Gabriel’s departure from the band. It’s one of the greatest albums ever, but is Pet Sounds a concept album? Brian Wilson worked with lyricist Tony Asher (along with Beach Boy Mike Love) on a series of personal songs that were sung by the Beach Boys over Wilson’s complex and unusual orchestral arrangements. There’s no specific lyrical motif or musical theme that threads through the album, except the overall excellence of its production. “Sitting on a park bench, eyeing little girls with bad intent.” Thus begins Ian Anderson’s tale of Aqualung, a pitiful and pitiable homeless man. “Aqualung” kicks off Jethro Tull’s fourth album, which is divided into an “Aqualung” side and a “My God” side. Religious themes and character studies weave through both sides of the album. Still, Anderson has always insisted that Aqualung is not a concept album. In fact, it was the critical response to Aqualung that influenced Anderson to create a real concept album, 1972’s Thick As A Brick. Close to the Edge was the third and final album from Yes’ classic lineup of Jon Anderson, Bill Bruford, Steve Howe, Chris Squire, and Rick Wakeman. The positive response to the longer pieces on Yes’ previous album, Fragile, influenced the band to push their songs even further. On Close to the Edge, long instrumental passages and unifying musical themes combine with mystical lyrics, stacked vocals, and Yes’ impressive musicianship. The album contains three extended suites, so it’s more like three concept albums rather than a single one. As with any list, you can disagree with the choices or suggest more of your own. Keep ‘em coming! Photo Credit: Public domain image of The Who. The greatest album ever recorded, but concept? I guess everyone was asleep in 1975 when Queen’s A Night At The Opera album proved countless concepts, particularly with the Bohemian Rhapsody track. It lies with me cried the queen of maybe I love this album. 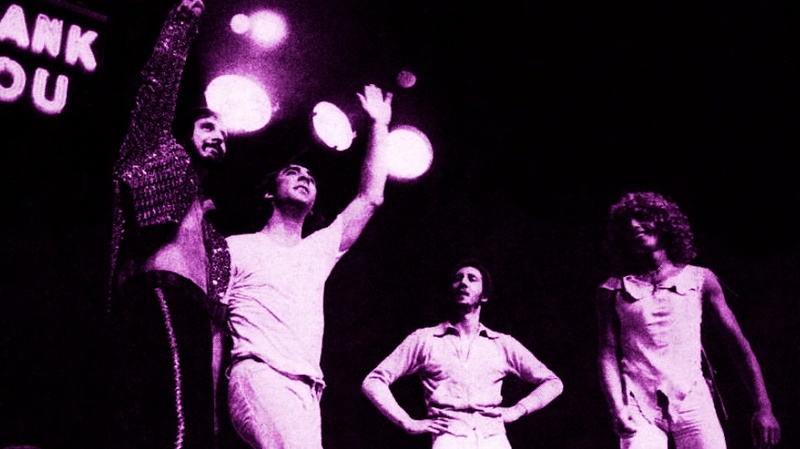 I also saw Genesis at The Shrine Auditorium do the entire album of The Lamb Lies Down On Broadway what is show it was Peter Gabriel and costume. You’re apparenly too young because Sgt. Pepper was THE FIRST concept album ever! Actually Frank Zappa had the first concept album a year before Pepper, but nobody listened to it so…Sgt. Pepper is it! We agree. In fact, we mentioned “In the Wee Small Hours” as a notable early concept album in our original post. Thanks for writing. Freak Out would’ve made MY list. Zappa influenced Sgt. Pepper, Paul once said, but Freak Out is in no sense a concept album. Zappa later did two concept works: Joe’s Garage, about music being illegal; and Thing-Fish, a catch-all of perverse themes and characters in search of Broadway production. John Lennon said it’s not a concept album. Jesus Christ Superstar is more of a Rock Opera like The Who’s “Tommy”. I was thinking about that album too. Great music, common theme throughout. Awesome line-up of mucisians and vocalists. I think it gets forgotten that it was an album before anything else. Camel – The Snow Goose (Based on the book by Paul Gallico). Sorry, but the worst Beatles out-take is better than the best Rush cut. Pet Sounds, Aqualung, and Close to the Edge really aren’t concept albums (neither are In the Court of the Crimson King or Abbey Road from the runners-up). And Thick as a Brick was intended as a parody of concept albums, although ironically, Tull’s next six or so albums after it were actual concept albums (everything from A Passion Play through Heavy Horses, and a case can be made for Stormwatch as a seventh). the Wall didn’t make the top 10? It’s the concept album by which all others are judged. I don’t know about that. The Wall is a great album and probably one of Pink Floyds best concept albums .However, from the Dark Side of the Moon and forward all their albums were concept albums. They all followed a theme. What I found missing were probably the 2 originals, though I don’t know which is older and one is multiple artists. Tommy & Jesus Christ Superstar. I also think the Beatles White album could be considered a concept album. The best concept album The Who Sell Out. Why does everyone forget this album??? Before Tommy and trying out those riffs. Actually, IMHO, The Lamb Lies Down on Broadway is the concept album by which all others are judged, but i do agree that The Wall should obviously be in the top 10. Seriously… Pink Floyd’s Animals didn’t make the cut either. It’s the definition of a concept album. Joe’s Garage by Frank Zappa…..awesome piece of music from start to finish. The Project Object. And I agree with a previous comment that Frank’s “Joe’s Garage Parts I, II, III” is a fantastic story with phenomenal music and biting social commentary. The same could definitely be said for “Thingfish”, as well. A Passion Play – Fantastic! I found a vinyl copy at a garage sale, still has the play book. “The Point” is magnificent. Gee, I wonder why it doesn’t get shown? The PT are almost always over looked. It is a shame because they were a really good band. Thank you for including Queensryche’s Operation Mindcrime! The tend to be dismissed as an 80’s hair band and they are so much more, and still relevant today. Go see them! Long Plays “Quark, Strangeness and Charm” by Hawkwind and “Secret Treaties” by Blue Oyster Cult could bothbe loosely considered concept albums. Misplaced Childhood by Marillion should be here as well. One of my all time favorites. Dream Theatre. Scenes From A Memory. A total concept album. On the tip ten above, few are true concept albums. I believe that the album “Time” by Electric Light Orchestra was a very underrated concept album. It’s one of those that ELO fans cannot just listen to one song, the entire album needs to be enjoyed in its entirety. A story of a romance lost, even Jeff Lynne’s additional songs like “Julie Don’t Live Here Anymore” bleed sadness and love lost. The Kinks have put out many concept albums. Arthur, Lola, Percy Preservation Acts I and II. Schoolboys in Disgrace and Soap Opera were all done in their early days. No, they didn’t get on the Top Ten lists with the public, but Ray’s writing is priceless. To see them play Schoolboys in concert was hilarious and wonderful! The Cure’s Disintegration. Holds together like a concept album start to finish. Yes! I was going to add this to the list and you beat me to it! Clockwork Angels is Rush’s only true concept album from start to finish and it is their masterpiece. The live performance with the string section was outstanding. I second that, however 2112, Hemispheres and other longer songs would definitely qualify as concept pieces. Even some of their 80’s and 90’s albums had a universal theme to the lyrical content. RUSH RULES!!! Well,Byron & the snow dog was their original concept song,though short by comparison. Edgar Winters “Entrance”, side 1 is, see 2 is not, but the brothers Winters knock “Tobacco Road” out of the park. All in all a very fine effort. Village Green Preservation Society and Arthur, by the Kinks. As far as concept discs, hard to ignore Animals and The Wall by Pink Floyd, and while some of the ones in the piece aren’t really concept discs, I agree that many of Tull’s discs are (including Aqualung), and Selling England by the Pound by Genesis is an underrated gem. One serious omission is “We’re Only in it For the Money”, Franks Zappa and the MOI’s scathing critique of flower power, using Sgt. Pepper imagery. The Kink’ “Arthur” is also worth a mention. Totally agree. We’re only in it for the money. The very best!!! Tubular Bells by Mike Oldfield, probably the closest work to being a concept album at the time. It all depends on what you call a “concept” album. My first three are clearly concept. Although, yeah, not a concept in the technical sense, still, I always considered the Rolling Stones “Exile On Main Street” a concept album of sorts. A sort of extension of Robert Frank’s “The Americans” book of photographs transposed to music. A sort of snap shot of America through the eyes and ears of a British Rock Band touring America. Which is exactly how the album cane about, and, coincidently, how Robert Frank came to do the cover artwork for Exile On Main St. GENIUS CONCEPT ALBUM ABOUT POLITICAL CORRUPTION, DECEPTION, AND POWER. Agreed, but I think Three Friends is a stronger album overall. “The Kinks Are The Village Green Preservation Society” should be on this list. I never viewed “Sgt. Pepper’s” or “Abbey Road” as concept albums. Glad to see someone else named My Chemical Romance’s “Black Parade”. MCR doesn’t get anywhere near the credit they deserved from old-guard Yes-Genesis-King Crimson Prog fans, who are turned off by the Emo/Goth trappings of the band, but they’re one of the best mainstream examples of Prog since 2000. Likewise the above-mentioned “Disintegration” by The Cure, which is as absolutely a heartwrenching study of loss and pain as there is. I’d nominate Roger Waters’ “Pros And Cons Of Hitchhiking” myself. It gets disjointed, as many Waters projects do [Radio KAOS? ], and it pulls an old cliche trope in the end, but it’s a harrowing and compulsive “what if?” that doesn’t let you go easily. Excellent transposing of Edgar Allen Poe’ s stories…..especially the Tell Tale Heart! Perfect! The one I was going to suggest. Great album….but what exactly do you believe the “concept” is??? You all forgot Animals by Pink Floyd! SF Sorrow by the Pretty Things. Imaginos by Blue Oyster Cult is another one. I suppose with Peppers you could go either way and since it started out as a concept and surley you could view the songs as almost a day in the life …friends ..girls leaving home ..good morning ..going to the circus …fixing holes ..meter maids..zoning out ect. I always took it has a walk through a suburban/ city landscape and getting a glimpse of many facets I’d life going on. Even some albums that don’t start as concepts somehow through happy accident actually do cohere into something more than just a selection of songs . Yes “classic” lineup of Squire, Anderson, Bruford, Wakeman, Howe were only together for Fragile and Close To The Edge. Before then, Yes had Tony Kaye on keys, and afterward, Alan White on drums. Zen Arcade, Husker Du. In terms of punk, this double concept album was unheard of and revolutionary. Jethro Tull’s Aqualung” was not a concept album. I have an interview where Ian Anderson flat out said it wasnt. However, after that record he began dabbling in the concept album concept. I agree, Thick As A Brick and A Passion Play are the two best true concept albums by Jethro Tull and should be rated two of the greatest on any concept list. Ian is a true genius and SO underappreciated. Greatest flutist in the world and I guess his lyrics are just too intricate for most people to understand. How can they not be in the Rock Hall of Fame? Yes, absolutely, but Ian Anderson’s claim that Aqualung is not a concept album is silly. The 4 album set by Jade Warrior (for Island) starting with “Floating World”, “Waves Pt.I and II”, “Kites” and “Way of the Sun”! “Time” and “Eldorado” by The Electric Light Orchestra and “Pyramid” by The Alan Parsons Project. Frank Zappa Joe’s Garage Acts 1-3. A morality play, social commentary and prude twerking all rolled into one. Who can forget Mary, Bald headed Jon and of course Joe. wow! I’ve always been a big fan of “12 dreams of dr. sardonicus” I never would’ve guessed that it would rate so high. i’m not surprised quadrophenia made the top 10, but I wouldn’t have guessed no. 1..not that I disagree. one of my all time favorites. a bit lighter in subject matter but “schoolboys in disgrace” by the kinks is pretty good. For gods sakes.. the kinks ARTHUR..,or the rise and fall of The British empire.. was the best AND FIRST concept album..!!! It was hardly the first, but it certainly is an awesome album. There it is! I wondered when it would come up. Most of those referred to are not real concept albums. Arthur was probably the first and quickly was overshadowed by Tommy since the Kinks were banned from playing in the States at the time. Alan Parsons Project. Tales of mystery and imagination. 1976. Amazing album not on the list. American Idiot by Green Day, The Rising by Bruce Springsteen is as much of a concept album as many on this list. It is a reaction to 9/11. was wondering when somebody would get to Green Day. Ghost of Tom Joad by Bruce and before American Idiot from the California power-pop-punk scene, The Offspring’s Americana are also theme albums I enjoyed down this branch. Glad to see “Twelve Dreams” given such prominence, as well as “Lamb Lies Down”. As others have said, the Kinks did multiple concept albums, but they just weren’t as mainstream. Agree that “We’re Only in it for the Money” should have ended up at the top, but the MOI were still considered just weird. Troutmask Replica also comes to mind. At least honorable mention to Hotel California. What, no Styx “Kilroy was Here” or “Paradise Theater”?? I can see missing “Subterranea” by IQ: brilliant but obscure. What about “The Ninth Wave” by Kate Bush? True, the first side of the album “Hounds of Love” is unrelated but the whole second side is a story – “The Ninth Wave” – of a women lost at sea with her own thoughts. If you list 2112, “The Ninth Wave” is fair game. “Sargent Pepper” but no IQ, Kate Bush, or Dream Theater? That’s just nuts. Maybe this is a stretch, but how about “Purple Rain” by Prince? The songs fit into a loose (O.K., *very* loose) framework about an up-and-coming rock musician. Joe Jackson -Blaze of Glory. Each side tells a story, plus they were recorded in a single take each. A great album for a one night stand. Pet Sounds’ concept is the struggle of moving from childhood to manhood, exemplified by the increasingly complex music and lyrical subjects of the album relative to their earlier music. Abbey Road is not a concept album. While not rock, Frank Sinatra recorded several concept albums on Capitol in the 1950s, the best of which was In The Wee Small Hours, a great album that should be in any serious music lovers collection. Thick As A Brick and A Passion Play – Jethro Tull have got to be mentioned. Oops, should have read the original piece first. Since Joe’s Garage is on that, I’ll wonder about Electric Ladyland or perhaps After Bathing at Baxter’s by the the Jefferson Airplane? Both Electric Ladyland After Bathing at Baxter’s are good choices! Surely you mean ELP, not ELO. Only the first side of Tarkus was a concept. Side 2 had unrelated pieces. Truly one of Elton’s finest works. They missed “Hope” album by Klaatu. definitely “The Wall” but also “Animals”, and Klaatu “Hope”! oh and most definitely The Eagles “Desperado”, ELO “Time”, and how-the-heck did we leave out “Ziggy Stardust”??? Hard to believe that neither Marillion’s Script For A Jester’s Tear or Green Day’s American Idiot weren’t mentioned. The Mothers Live at the Fillmore East, definitely. Aphrodites Child 666 should be considered in the top 10! Another missing from the broader list although obscure is worth mentioning iWhite Noise Electric Storm! The Kinks should be on this list. Village Green. Schoolboys. Etc. What about Days of Future Past by the Moody Blues? I cannot believe no one mentioned “Wilderness Road” by the band Wilderness Road a little old four-piece from Chicago in the late 60s. One of the first country/rock fusions that holds up the concept for both sides. Predates “Desperado” by a few years and seems to me an influence. Most of these are not entirely concept albums. They may have songs that qualify but not the entirety of the album. Quadraphenia, Lamb Lies Down, The Wall are examples of concept albums with recurring themes, characters, melodies, lyrics etc throughout the entirety of the album. There are a lot of othe fine examples in the list but most aren’t. Thanks for writing. In this case, we were simply compiling reader feedback on fave concept albums. Our audience no doubt has a flexible definition about what qualifies as a Concept Album, but there was remarkable consensus on the titles that belong on the list. the pretty things! s.f. sorrow! are all excellent concept albums too. I read much but not all of these comments and never saw a mention of Supertramp’s “Crime of the Century”. One of my favorite concept album. I know it’s a Rock Opera but, I consider those to be concept albums. Rick Wakeman’s “King Arthur” or Alan Parsons “Tales of Mystery and Imagination” definitely. I would have thought Floyd’s, The Wall, would have placed in top 10. Also like ELP’S Tarsus. Along those lines, you might appreciate the original post in this thread: http://www.culturesonar.com/concept-albums/ . It highlights “Arthur,” among many others. A nice concept album is side 1 of Hemispheres (Cygnus X-1, Book II) by RUSH. I like it better than 2112. Hero and Heroine by the Strawbs, one of my all time faves! “Monster” – Steppenwolf. A vastly underrated album. No Emerson,Lake & Palmer -Tarkus , or Pictures at an Exhibition …??? Hmmm , then as I read no Pink Floyd -The Wall … scratching head here , I wasn’t clear if Yes – Close to the Edge is on the list or not …hmmm getting kinda weird , I would argue that perhaps Black Sabbath – Paranoid , The Doors – LA Woman , and many others could qualify as “concept” albums and would need more clarity in definitions , like would “what is considered Rock” … Like is Super Hard Metal still ROCK ( like the Screamo-stuff ) , but Electronica NOT …? ( think Kraftwerk – Computer World … hmmm …but then I just “don’t Get” sooo many bands and their music … music likes and dislikes are such a personal thing , But No ELP , YES or Pink Floyd is just wrong IMO …Heck I’ve been playing Rare Bird – As Your Mind Flies By all week so what do I know …??? Nez’s “The Prison” was certainly a concept album. He doesn’t get the credit he deserves as a bonafide innovator. The Tubes Remote Control, Warren Zevon’s Transverse City and The Wind, almost every album by The Residents… I’m surprised there’s no mention of Lou Reed’s New York? Kate Bush Hounds of Love?